This is a legit way to get students (and adults, for that matter) to know more about the Bible and its stories in a super fun way! Woot! Students of @shbcroots prepare for excellence and hilarity and “excommunication”, thanks Kenny & Elle! I’m so excited I can barely stand it! Can’t wait to play with my group! 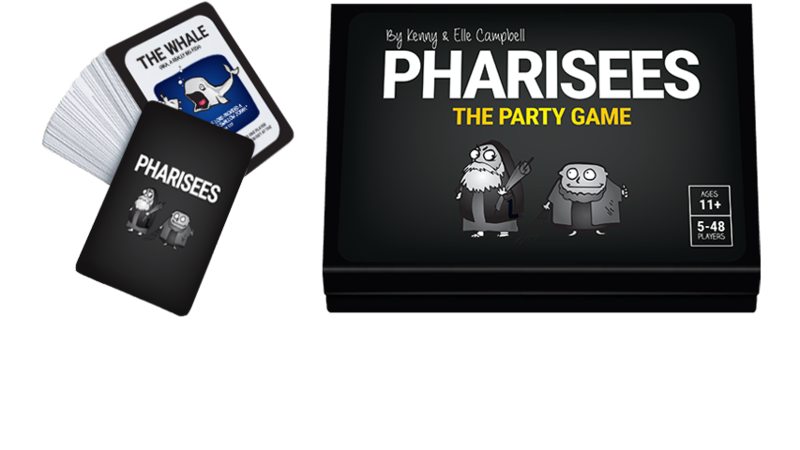 PHARISEES: The Party Game is a new twist on Mafia, the classic party game we all know and love. Except, this time, it’s got a little less organized crime… and a lot more Bible verses. Picture this: you live in a distant land, many centuries ago. You’ve recently begun following a controversial new prophet named Jesus…and the religious leaders of the day, the Pharisees, aren’t very happy about it. Each night, the Pharisees sneak into your community in search of one of Jesus’ disciples to stone. Can the disciples find and excommunicate the Pharisees before they stone them all? 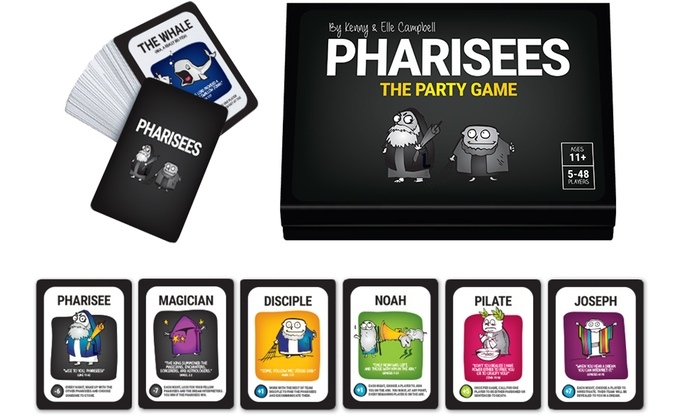 Pharisees is the perfect party game for anywhere from 5 to 48 players. Each player has a mission. As a disciple, find and excommunicate the Pharisees. As a Pharisee, convince the disciples you’re innocent while secretly trying to stone them each night, one by one. Dozens of special roles are available to help both the disciples and Pharisees accomplish their missions. A set of 54 cards featuring 34 unique roles. A detailed game guide with instructions, tips, and strategies. A downloadable score card to keep track of your games. A downloadable script and checklist for the narrator. Use this printable scorecard when playing multiple games and you want to keep track of who’s the best Disciple/Pharisee in the group. After each game, just mark down who was on the winning team – it doesn’t matter if they were alive, stoned, or excommunicated. If their team won give them a point! Use this printable script to help the narrator keep the game moving without forgetting anything! Use this printable checklist to help the narrator keep track of all the players’ roles during the game. It’s a lot to manage!